Nowadays I listen to most of my music on YouTube. 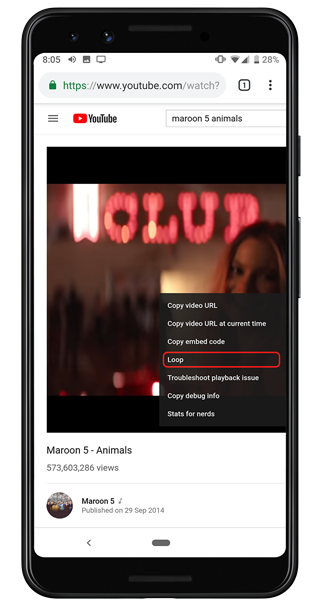 One of the biggest feature requests for most of the users is a native option to play a video on repeat or loop inside the official YouTube app for Android and iOS. 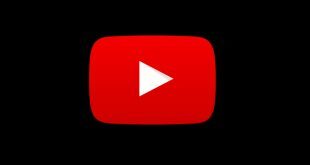 After nine years of waiting, YouTube finally lets you loop a video on the web version. To loop a video in your browser, simply right-click on the video and choose the option “Loop” and you are good to go. However, I’m pretty sure, YouTube won’t be releasing this feature on their official Android and iOS app anytime soon. 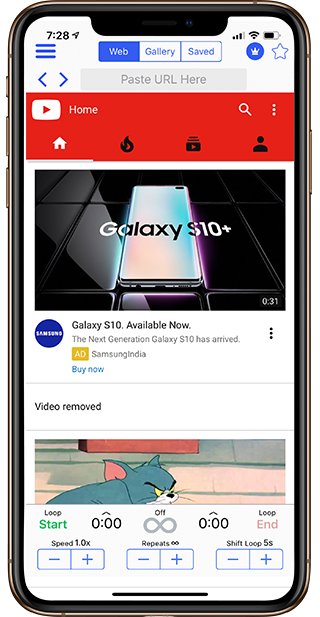 Why YouTube lacks a “Loop” option for Android and iOS? While we are so used to getting awesome stuff like Maps, Search, YouTube, etc., for free from Google, we often forget that Google is also a commercial business. They make money from ads. If more people start playing the same video over and over again, lesser are the chances to effectively display ads. In short, a built-in loop feature is not good for Google’s business. After nine years of request, they finally added it to the desktop version, but not for mobile, it’s not coming anytime soon. But that doesn’t mean you cannot loop YouTube videos on Android and iOS. 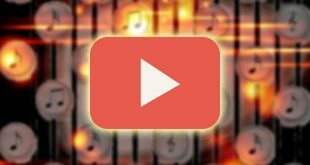 There are some workarounds to loop a video right inside the YouTube app, for both Android and iOS. Although it’s in no way perfect like the web version, it gets the job done. 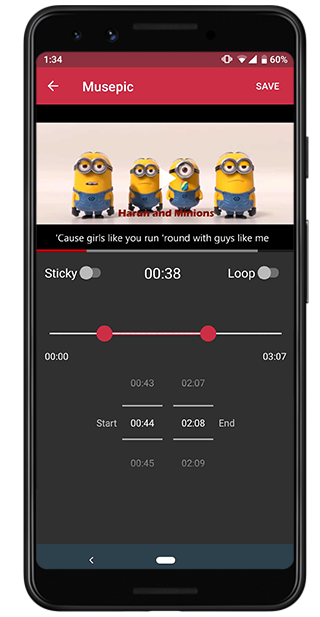 There are many third-party Android apps that can play YouTube video repeatedly. If I had to suggest one app, it would be Musepic. 1. Download and install Musepic (free, $1 for premium) from the Google Play Store on your Android device. 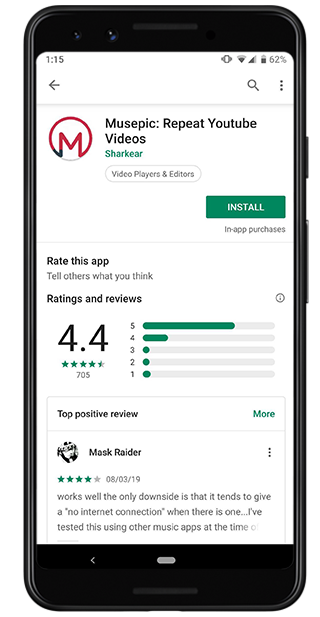 The app offers a free version to download. You may upgrade the app via in-app purchase to access additional features like resizing the ‘picture in picture’ mode window. 2. Open the app and search a song you want to play on repeat. Thankfully, they have auto-suggestions, so you don’t have to type the whole thing. 3. Select the video from the search result and play it. Upon playing you’ll see that the window has several other controls. 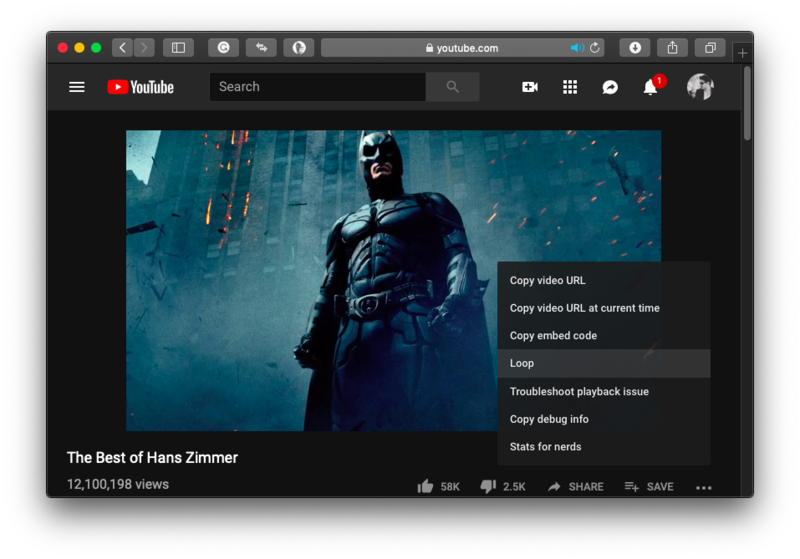 You can loop part of a youtube video or full video via a drag bar or time selector. Click on the loop tab on the right bottom of the video and that’s it, the video will play repeatedly until you stop it manually. 1. Download and install the Loop2Learn Lite app from the iOS App Store. This the free version of the Loop2Learn Pro that comes in for $3. But since our purpose is sufficed by the free version why do we go for the paid one. 2. Open the app and you will see YouTube mobile version is open inside the app itself. You search, login or alternatively also paste URL in the space provided above. 3. Once your song is playing, loop controls can be seen at the bottom of the screen. You can select a specific time frame to loop or the whole video. Here you need to select how many repeats you wish to have on the loop which has a limit of 100. 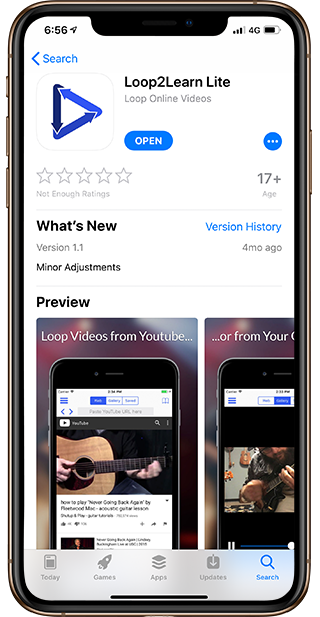 If you don’t want to use a third-party app to loop a YouTube video then there is a workaround for that as well. The trick here is to add a single video to a newly created playlist and then loop that playlist. It works perfectly on both Android and iOS. However, since the app UI is a bit different, I’ll show the steps for both. 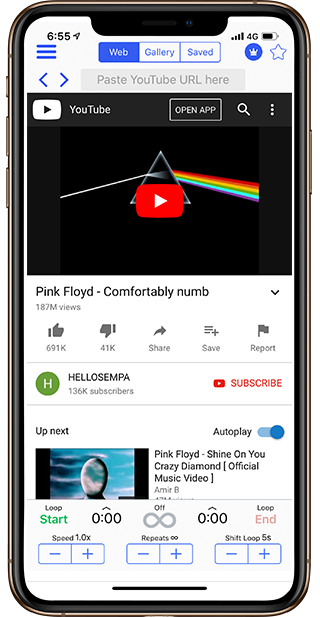 The YouTube app on both Android and iOS are pretty much similar. The following steps can be used to create and the playlist in a loop on the iPhone as well. 2. 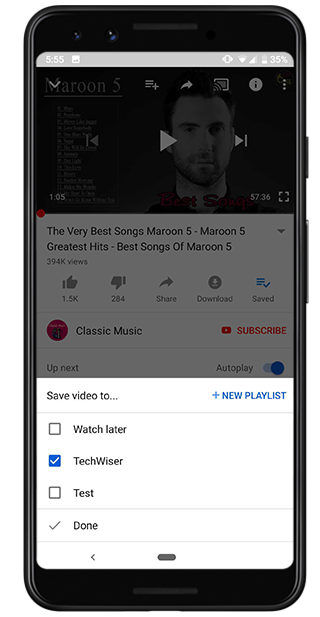 Tap on Add to option below the video > Create a new playlist > Give the playlist a name of your choice. 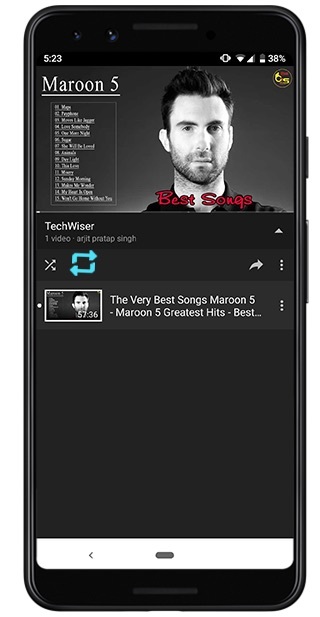 Now from the main screen, tap on the “Library” option appearing at the bottom of the screen and find the newly created Playlist. Once you are here, tap on the play button to start playing the video. 4. While the video is playing, tap on the “Down” arrow right next to the Playlist name. 5. Tap on the loop icon inside the playlist to repeat that single song. There is another way to repeat a YouTube video, which I recently discovered. 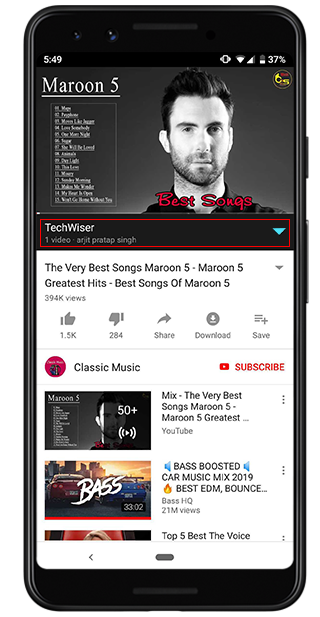 The trick here is to play the YouTube video within the Web browser on Android. Sorry iOS users. By default, YouTube will redirect you to its mobile site where you cannot loop a video. To get to the desktop site, tap on the menu option and select “Request Desktop Site”. Once you do that, you will see the loop option just like you see in the desktop version. 1. On your Web Browser, open m.youtube.com. This is to avoid the browser from opening the YouTube app automatically when you try to access the YouTube website on your phone browser. 2. 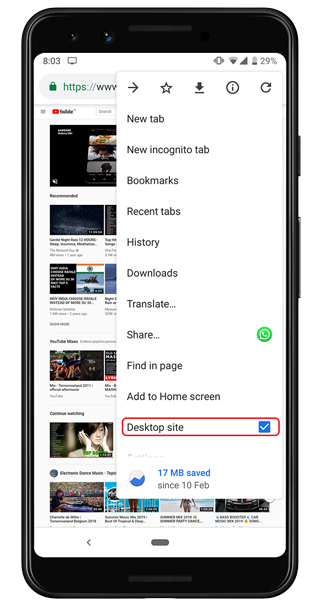 Once the mobile version is open go to the browser menu and requests desktop site. Most of you will have chrome so let’s go ahead with that. 3. Search and play a video of your choice. Now, Zoom in and long press on the video, this will bring up the right-click menu. From the options, select the “Loop” option. So, there you go; these are some ways to play YouTube videos on a loop on both Android and iOS. 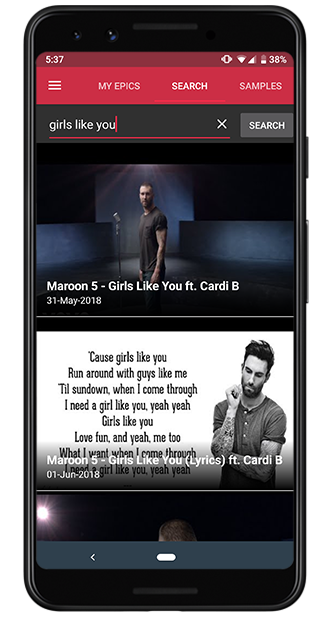 Depending on your requirement, you can either play YouTube video inside the official YouTube app using the Playlist feature or use a third-party app or the web browser. Do you know any other way to play YouTube videos in the background, let me know in the comment section below?